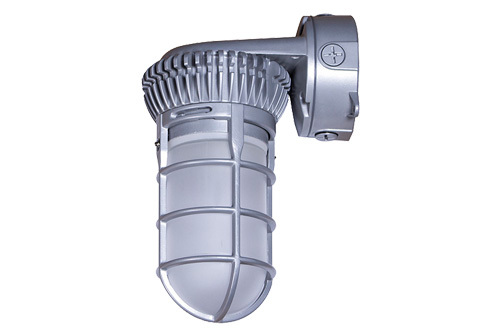 The outdoor and indoor LED die-cast aluminum vaportite fixtures are rated for wet locations. Ideal for both commercial and residential applications. Use on entrances, corridor, tunnel, service area, stairwell and walkways. - Vaportite die-cast aluminum housing included junction box on vapor tights (except pendant). - Borosilicate glass (frosted finish) protective globe with thread-on cast aluminum guard. - Gray powder paint finish standard on frame and housing. - Ceiling/ surface, pendant or wall mounting. - CREE COB LED 11 watts. - High efficiency nominal 5000K standard color +70 CRI. Total lumen output is 710lm and 65lm per watt. - 3 years limited warranty.